All of our Imports are registered in Europe. There is a long process to register the dog with AKC before we can register the litter. 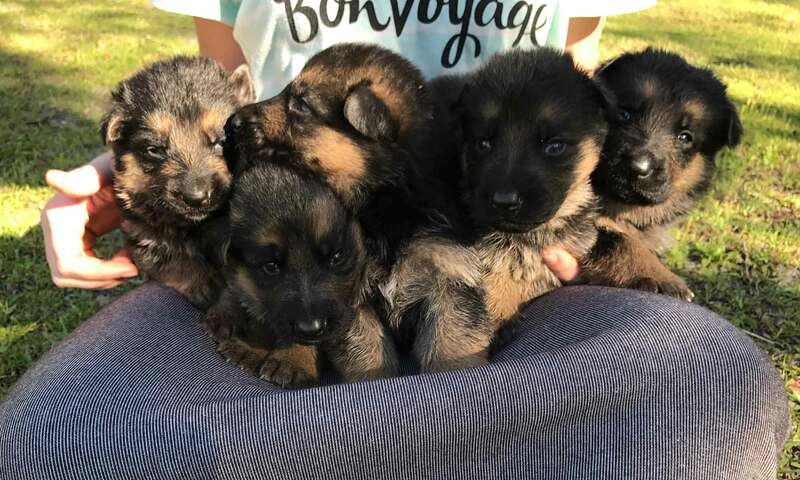 When we receive Mom’s Import papers with our name as the new owner, we then send them into AKC with the Foreign Registration form, color photos and required AKC fee. This can easily take a month. This is the process, but NO guarantees. So far, we have ALWAYs been able to register our Import litters! But remember: AKC always has the final word and they always say to us “Pending”. So we say to you: “Pending registration”. You will get your papers for your puppy when we receive them.